Sankashti Chaturthi or Sankatahara Chaturthi is the day dedicated to Lord Ganesha. Sankashti Chaturthi falls on every 4th day after Pournami full moon (Krishna Paksha) of Hindu lunar calendar month. There are two Chaturthi Tithis in Hindu calendar's each month. Sankashti Chaturthi is the one which comes after Purnimasi or full moon during Krishna Paksha and the second is Vinayaka Chaturthi which comes after Amavasya or new moon during Shukla Paksha. “Sankashti” word is originated from Sanskrit language which means “liberation during the difficult times”. Lord Ganesha as the Remover of Obstacles is known as Vighnaharta (विघ्नहर्ता), Vighnavinashaka (विघ्नविनाशक) and Vigneshwara (विघ्नेश्वर). The significance of Sankashti Chaturthi vrat is mentioned in the ‘Bhavishaya Purana’ and ‘Narasimha Purana’ and was also explained by Lord Krishna himself, to Yudhishtira, who is the eldest of all Pandavas. People fast on Sankashti Chaturthi day. The most important Sankashti Chaturthi falls in month of Magha as per Purnimant School of thoughts and in month of Paush as per Amavasyant School of thoughts. 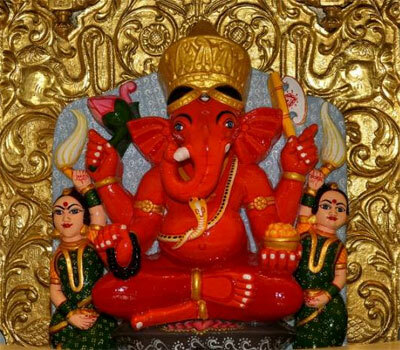 If Sankashti Chaturthi occurs on Tuesday it is called Angarki Chaturthi and it is considered highly auspicious. Sankashti Chaturthi fast is observed mostly in Western and Southern India especially in Maharashtra and Tamil Nadu. Ganesha is worshiped with a different name and peetha (seat) each month. The 'Sankashta Ganapathi Pooja' prayer is performed on the Sakashta Chaturthi day of each month. 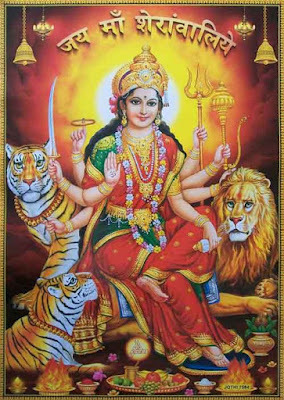 This prayer has 13 Vratha Kathas, one for each month and the 13th vrat katha is for adhika maas (one extra month occurs every 4 years in Hindu calendar). Ganesha showers blessings for all devotees on this day. It is the same day when God Shiva declared his son Ganesha as "pratham pujya" meaning "first god to be worshipped" and superior to all the gods including Vishnu, Lakshmi, Shiva and Parvati. Ganesh is worshipped as the god of wisdom, prosperity and good fortune and devotees seek his blessings at the beginning of any new venture or at the start of travel. Lord Ganesha, the deity of this fast is the supreme lord of intelligence, the remover of all obstacles. People fast from sunrise to moonrise on Sankashti Chaturthi. Sankashti means rescue during troubled times. It is believed that people who fast on this day of Sankashti Chaturthi can get rid of all obstacles because of the blessings of Lord Ganesha. Only fruits, roots (the part of a plant which is below ground) and vegetable products can be consumed on this day while fasting. Sankashti Chaturthi diet can also include Sabudana Khichadi, potato and peanuts. Ganapati Atharvasheersha along with various mantras and hymns are recited to get the blessings of Ganesha. After viewing the moon at night or at the time of Chandrodaya, only then can one break the fast. Sankashti Chaturthi during Magha month is known as Sakat Chauth in North India. Ganesha Chaturthi that occurs in Bhadrapada month is known as Vinayaka Chaturthi. Ganesha Chaturthi is the birthday of Lord Ganesha. Sankashti Chaturthi is also known as Ganesh Sankatahara or Sankatahara Chaturthi among Tamil Hindus. Please note that Sankashti Chaturthi fasting day might be different for two cities within India. Sankashti Chaturthi fasting depends on moonrise and it is observed when there is moonrise while Chaturthi Tithi is prevailing. Thus Sankashti Chaturthi fasting could be done on Tritiya Tithi i.e. one day before Chaturthi Tithi. As moonrise time always differ for all cities, a person observing Sankashti Chaturthi fast must be sure of Sankashti Chaturthi day.